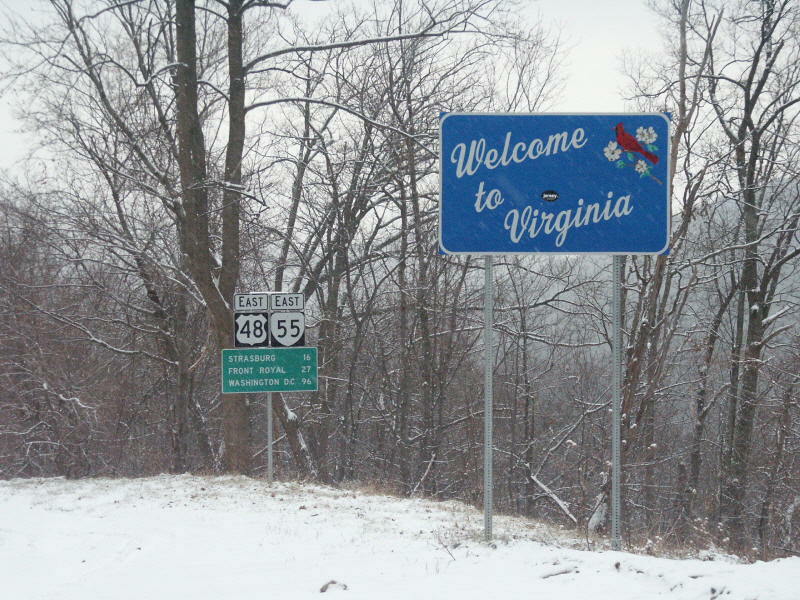 Entering Virginia from WV 55 on a snowy afternoon. Photo by H.B. Elkins. 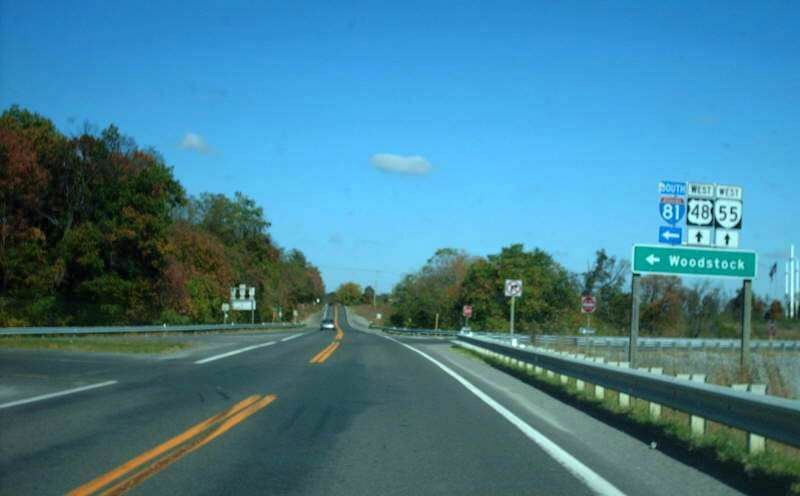 From southbound I-81. Photo by Mapmikey, taken September 23, 2007. At the top of the I-81 SB off-ramp. 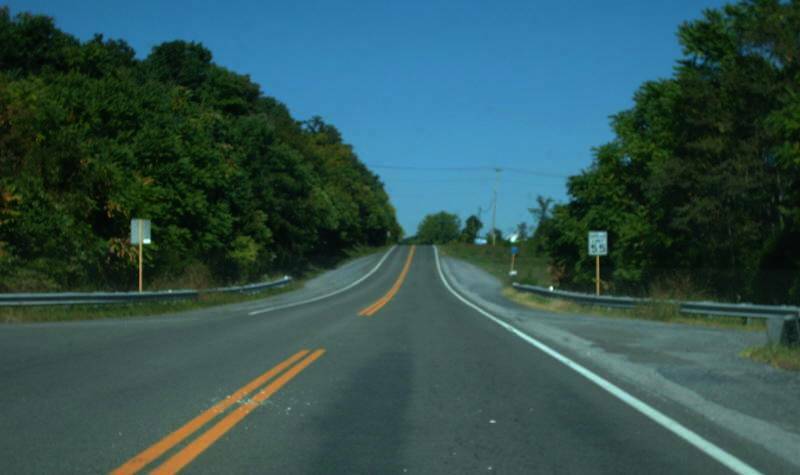 US 48 begins to the right, but there is one US 48 sign west of I-81 at SR 848. Photo by Mapmikey, taken September 23, 2007. 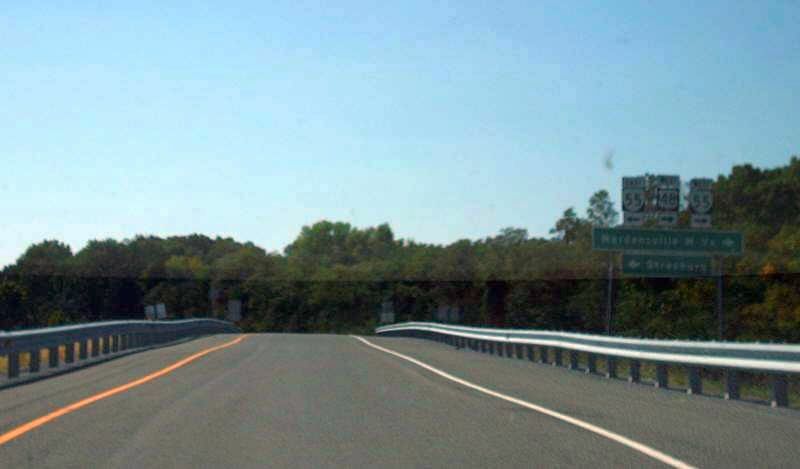 VA 55 west arriving at I-81 and US 48. Photo by Mapmikey, taken October 23, 2008. 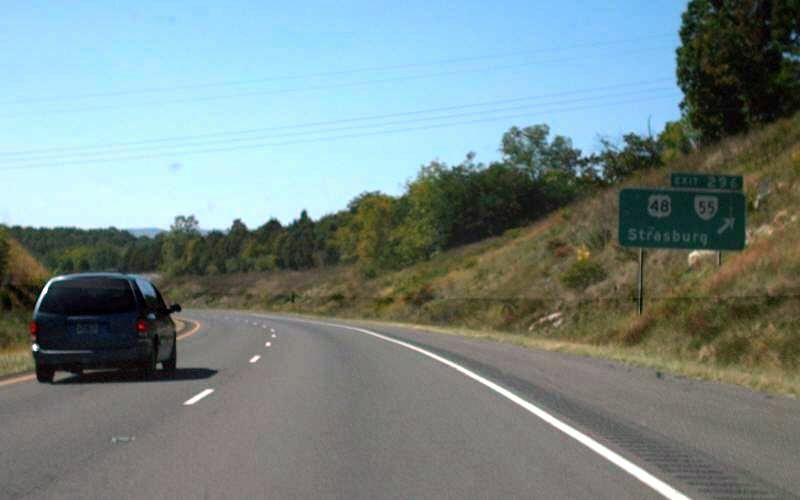 The view on US 48/VA 55 westbound immediately leaving I-81. Photo by Mapmikey, taken September 23, 2007. At the first reassurance sign, about 1/2 mile west of I-81. 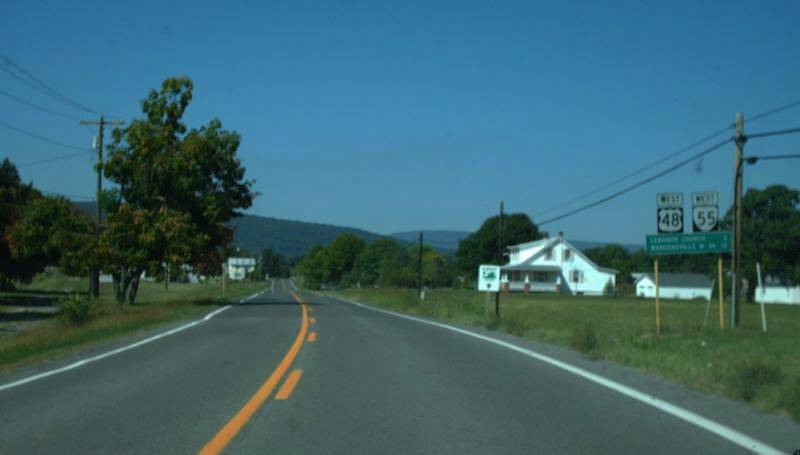 US 48 is currently only posted in Virginia. Photo by Mapmikey, taken September 23, 2007.